Celia comes to Astraea after four years with Bailey House, which addresses the underlying drivers of the HIV/AIDS pandemic through the provision of lifesaving housing, health and advocacy services for people living with HIV/AIDS and other chronic illnesses. As a member of Bailey House's Development team, she focused on grant writing, communications, and events. 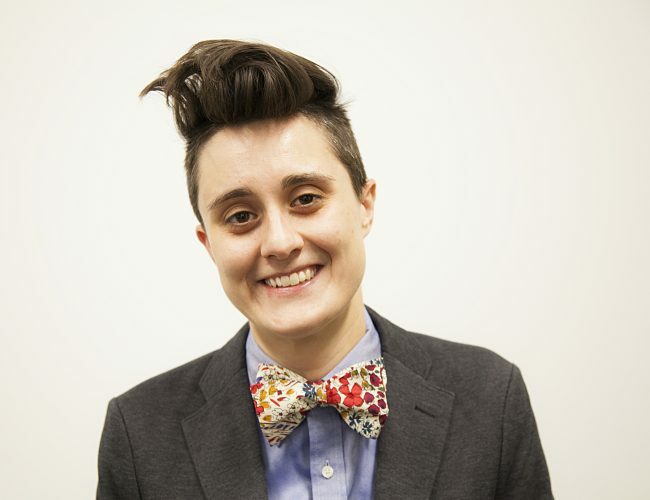 Celia is excited to join the Astraea family and put her skills to work supporting incredible grassroots organizing at the intersections of LGBTQI rights and racial, economic and social justice. She has a BA in English from Bryn Mawr College with a concentration in Creative Writing and a MA in Publishing Studies from City University in London. Her passions include running, animals and community engagement; she volunteers with Back on My Feet, an organization that combats homelessness through the power of running, community support and essential employment and housing resources, and also with the NYC Animal Care Center, where she works with rescue dogs of all shapes and sizes. Other hobbies include reading; cycling; hiking; camping; and almost anything else outdoors (because she will always be a Minnesotan at heart).